I realize this is a complete first world problem post, but I really wanted to post this, just in case there is some Apple fan person out there considering Android. In December of 2008 I decided to ditch the flip phone and get a smart phone. I purchased my first ever iPhone 3G. From then until 2012, I have been a loyal Apple customer. However, I am a curious gal, and like to know if there is something I am missing. I tried the Windows Phone for about 2 months before realizing I could never be happy with it; I missed Apple. So back to Apple I went. You would think I had learned my lesson, but nope. Curiosity got the better of me again. I was certain that I needed a bigger screen and the ability to customize. I decided this past December to use my 2 year upgrade to test the Android waters, so to speak. 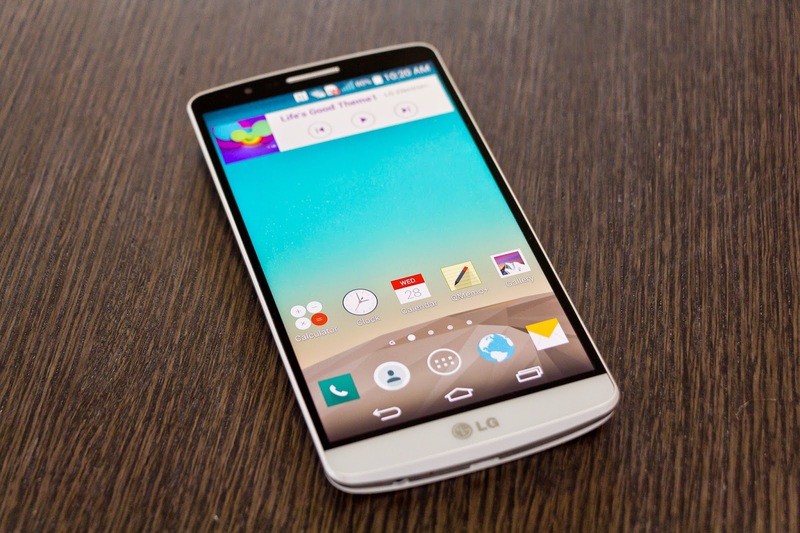 I got the LG G3 for no money down. Boy was this phone BIG and the screen resolution, WOW! This was it. No more Apple products for me. How awesome to be able to change your font without jailbreaking, change app icons with little effort, and use any ringtone your heart could desire with the Zedge app. I liked it. A lot. The love affair didn't last long, though. The first thing I missed was the fluidity of the iOS. I'm not sure if it is just an LG thing, or if it is android straight across the board, but movement between apps was a disjointed and lagged experience. I convinced myself that it wasn't that big of a deal, though, and I did have a bigger better screen... so,maybe it was a good trade-off. The next thing, and probably the biggest thing that I missed is probably the biggest advantage that iPhone has over Android... that is iMessage. Hangouts does not even come close to tapping into what iMessage can do. The built in text apps are even worse. You can't send video unless it's crap quality and you can't get read receipts. Sending plain ol' texts took a lot longer than with iMessage as well. I text a lot. I would much rather text than talk on the phone... usually, so for my texting experience to not be that good, well, that was a big deal. If Android wants to win over iPhone users, they HAVE to get hangouts competitive with iMessage... allow them to send videos of higher quality, allow for a quick text messaging experience... this is REALLY important. Apple's lock screen was another thing I missed. The design is clean, simple, and easy to use with a security code. I had to set my Android phone up to not have a pass code, because it was just so difficult for me to open my phone, especially one handed. I know it has a one handed setting, but I couldn't handle the left or right shift of the touch buttons... I guess that's OCD or perfectionism or something... so it drove me more nuts to have my phone not centered, ha. Even without a pass code on the lock screen, in order to open a notification on my lock screen, I had to swipe the phone open first. WHY? That is completely pointless. With iPhone, if you don't have a security code then you can just open the phone up through the notification. I can't be the only one who thinks it makes no sense to require you to swipe open a phone that doesn't have a security code... But whatever. That was another small issue. There are plenty of lock screen apps in Google Play to change this up, but that's a separate issue. The customization of an Android phone is the OS's supposed BIG advantage over iPhone. Well, to me, customization was a hassle. I can see how some people would enjoy it, but I found it frustrating, because I wanted to customize, but in order to do so I had to download this app, that needed this other app, and that app needed another app. Sure you can get your Android to do just about anything, but OH MY GOOOOOSH, what a hassle! All this to get my Android to function like an iPhone... You see, iPhone doesn't need to be completely customize-able, because what I have found is that they get it pretty darn right out of the box. The OS is pretty, clean, and the app icons are nice (with the exception of a couple like their games icon, which I find pretty lamely designed). HOWEVER, if you like complicating your life and fixing stuff that isn't broken, then you can jailbreak the sucker and have it. The iPhone isn't as anti-customization as people think. All the customization this girl needs is to be able to change her wallpaper and her ringtones... all doable on iPhone. The last thing I will talk about that I really missed about iPhone was the clean and simple OS and lack of bloatware. The iPhone comes preloaded with a few crap apps, as I like to call them, and I used to find them annoying, until I got an Android. HOLY "CRAP APP" OVERLOAD, BATMAN! AT&T app this, Google app that... So many pointless apps... Android, if you are so big on customization, then give people a choice as to what apps they want taking up space on their phone. Sheesh maleesh. I think iPhone could work on this too, but their built in apps aren't nearly as pointless and overwhelming as Android. So, basically, after nearly 3 months in the Android world... it's official, I like the iPhone better. It wasn't without a lot of effort and periods of denial. The things I think Android has going for them are few, but I will say that the file access is a huge one. If I download a file on an iPhone I have no clue where that download goes, but with Android, there is a file folder where you can access all of your downloads. That was so nice for school. If I want to store downloaded files on my iPhone I have to get an app for that. (Unless someone knows something I don't know). Another thing I liked about my Android was the option of having extra storage, although I NEVER used it. I think that is something that iPhone needs to consider incorporating into their future phone designs, because I know a lot of people who get the 32 GB models and run out of space on them. I know iPhone wants to make money off of their higher capacity phones, but couldn't they do that through designing an SD type card specific to the iPhone/iPad that would allow people to expand their phone memory, but still allow Apple to make even more ridiculous amounts of money? Wouldn't this also save them money because they wouldn't have to produce phones of different memory capacity, they would just develop, say a 16 GB phone and then sell the iPhone memory expansion cards? A card is a lot smaller than a phone after all. Smaller = less material = less cost? Right? I mean, I can't be the first person to think of this. However, other than those two things, I find the iPhone to be cleaner, prettier, less complicated, smoother, and much more effective in it's capabilities. My android seemed to get clogged up, and I was needing to restart it every day because it started lagging and acting bogged down. I would do the phone sweep thing, I would close out my open apps, and I would clean my internet history. I just couldn't figure out how to make this phone meet my needs, and iPhone does it with little effort. After all of this, I am back on an iPhone. I found an Android fan boy that went iPhone and hated it. He traded me his 32 GB iPhone 5 for my LG G3 straight across, no cost. He got the newer bigger phone, but I am okay with that, because I feel like I have the better functioning phone. Lesson learned. I like iPhone, and as much as I want to like Android, I just can't. So, Dear future Amy, if you get bored with your phone, just remember... you've done this twice now, and both times you end up back at Apple... So stop already. Thanks. I firmly believe that whatever OS you enter the smartphone world on is what you will usually be partial to, and that is what you will feel most comfortable operating. So, if you are bored and looking for something new, get a case.